We are the sum of a huge number of free actions for which we are the only ones responsible. A belated Happy Spring! Recently while sitting in my yard being with nature, I noticed the birds were sharing their songs with me and the bird feeders looked like rush hour at the local eatery. Ah! I took in a deep breath, and my body began to feel more alive and the greens sprouting up from the earth looked greener. Rain fell the next day, softening the Mother Earth’s skin, and when the rain let up I stepped out into the crisp air to be greeted by a chorus of frogs. These frogs are the size of my thumb, yet their reverberating voices were carried by the wind to fill the space of life. It seems as if the frogs were lying dormant, waiting and preparing. And once they were touched by the rain they came alive -- calling out and talking to one another like the sounds of laughter produced by children pouring from the square buildings of learning into the sunshine of the playground of life. As I walked toward the sounds of life, with green oozing around my feet, I asked the question, What makes me come alive? I stopped and lay down on Mother Earth and felt her body next to mine. My eyes were searching the blue of the sky, while white puffy clouds drifted by. As my chest softened and my heart opened, I realized that living my life with love and compassion knowing that I was connected to all beings through this amazing energy that exists in everything is what made me come alive. So I ask you, what makes you come alive? Is it seeing your children grow, hearing a child’s laughter, seeing an elder sit with dignity and pass their words down into the next generation? Is it watching a flower open and stuffing your nose deep into the petals for their fragrance that is so giving? Watching a dog with its head out the car window, drinking in the sounds and smells of the world, tongue flapping in the breeze? Let’s take some time now to relax into the question, What makes you come alive? Allow yourself to find a comfortable spot and sit or lie down. Now take a deep breath as you close your eyes. Begin by moving down into your body. Feel your shoulders, your torso, your legs. Take a deep breath and find yourself in a place where things are coming alive. It is dawn and the sun is just beginning to light the sky. 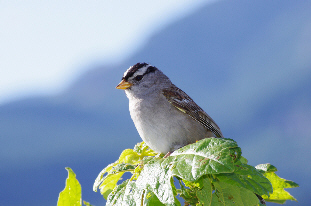 Listen now for the first bird of the morning – that chirp that says another day is about to break open. Take another deep breath and begin to feel the rays touch the tip of your feet, the warmth asking your toes to relax. The songbirds begin to awaken and their voices fill the air. The crow calls out to her tribe to come play. Now feel your legs as the golden light begins to move up your body and an awakening begins. What begins to awaken you? Bring those sounds, those images into your body and breathe. What does it feel like in your body, what are the sensations that say you are awakening. Breathe the wonder of oxygen into your cells and imagine energy running through you and around you – a tapestry of sensation. The sun is up and the world is engulfed with the light of day. You have awakened. I'm excited to be traveling back east again! From May 16 through 19, I'll be in the Washington DC area for Strozzi Bodywork. If you're in that area and would like a bodywork session, please call me at 707-480-3846 as soon as possible to reserve your spot. Then on May 20, I'll be in Atlanta, Georgia for Strozzi Bodywork and a supervision group. Again, please contact me if you want to schedule a session. I'd love to see you. On Sunday, June 17 I will again be partnering with Jeannie Kerrigan for a day-long “Power of Resilience” workshop. Save the date! More details to come in the next couple of weeks.